Pay attention to the size of the embedded raster images. Create diagrams with tikz or pstricks and avoid external applications that can create unwanted big files. Using tikz or pstricks provides access to an almost unlimited control of the properties of a specific object. For instance, creating a point A of coordinates (1,1) should be preferred to a point A of coordinates (1.0000000,1.00000000), that you cannot control in many applications. Pay attention to the fonts used in your documents. Some fonts contain a coding for a single size and are then scaled, when used in titles or equivalents. Some other fonts contain a coding for different size, making the document a bit larger. You may observe a non negligible difference. I am interested in this 3rd point: have some of you investigated the best fonts for smaller PDF files? Edit Compress.SmallPDF sounds like a good online solution to efficiently compress pdf files for free. I use --do-unify-fonts=false even though it produces slightly larger pdfs, because of a bug where a few glyphs are not displayed with certain pdf viewers (windows adobe reader, for example). There are indeed various things you can do during document production with tex, to make sure that the compressed pdf ends up as small as possible: several of these are discussed in the EuroTeX 2009 White paper about pdfsizeopt (available from the above link). As regards fonts, pdfsizeopt will recode fonts to the very compressed CFF format, and take care of subsetting and duplication issues. I haven't investigated deeply, but in my tests it seems that of the 2 options for type 1 encoded T1 (multilingual) tex fonts, the Latin Modern fonts generally produce significantly larger PDFs than the CM-Super version (which is unfortunate, because Latin Modern is superior in just about every other way (see this question). I just did a quick experiment and this difference in size seems to be only for the pre-pdfsizeopt pdfs: after pdfsizeopt, Latin Modern is the same or smaller than CM-Super. Using fonts that don't have optical scaling will indeed produce a smaller PDF, but I don't recommend it because if you are using multiple sizes then the non-optically scaled fonts will look much worse. If for some reason you don't want to use pdfsizeopt: both XeTeX and LuaTeX typically generate smaller PDF files than pdfTeX because OpenType fonts are already encoded in either CFF or TrueType outlines. There is the program pdfopt provided by Ghostscript which converts the PDF in the official web optimised format. This (quote from man pdfopt) puts the elements of the file into a more linear order and adds "hint" pointers, allowing Adobe's Acrobat(TM) products to display individual pages of the file more quickly when accessing the file through a network (unquote). Just make sure that both PDF filenames are not the same. You might want to move output.pdf to input.pdf afterwards. This is what I do in my Makefile's for my LaTeX package prior to uploading them to CTAN. This will generally produce considerably smaller files but it requires pdf version 1.5 and might not be readable by old pdf-viewers. Using true type fonts that are specified in the PDF standard (and thus available with every conforming pdf viewer) dramatically reduces for me the file size of PDFs generated with pdflatex. Else, other fonts are included in the generated PDF which increases the file size. The scaling of helvet is needed, because it is by default a bit larger. Note that the package times is obsolete. 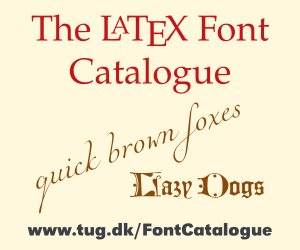 Using common PostScript fonts with LaTeX describes these packages and more. to be available to the viewer application. Thus for example, the acrobat reader on an (relatively) obscure Solaris system comes with some otf/pfb font files. I just open the PDF with Okular (any viewer should work) and then print to a PDF file. It looks exactly the same as the original, although it loses the hyperlinks. However, the savings is measureable. A 1.3 MB file drops to 80K ! There are no unused fonts or anything like that and the fonts aren't that big to begin with, so I don't know why the savings is no significant, but this should be the default output (with links - a link can't add but a few bytes). Not the answer you're looking for? Browse other questions tagged fonts pdf online file-size or ask your own question. How do I compress PDFs generated by pdflatex? How to reduce the pdf file size in latex document? How to make the PDFs produced by `pdflatex` smaller? pdftex reduce PDF size: reduce image quality? How to create identical PDF files with xelatex?